Exquisitely inviting, the Simone Fabric Wing Chair promises daylong comfort. Recline with absolute ease, because this soft chair features a unique no sag S-Spring in the base of the seat. You’ll find that the specially selected upholstery offers the perfect amount of coziness. Featured in the colour peach, this chair’s structure is made from extremely enduring Sheesham wood, which is renowned for it’s long-lasting nature and it’s ability to withstand wear and tear. 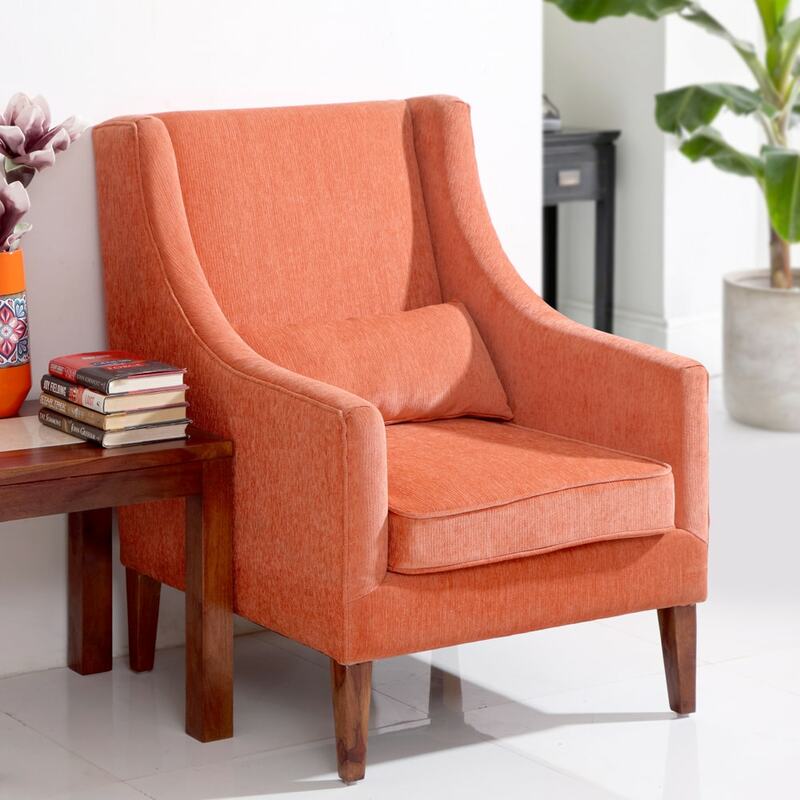 With sleek arms, and slim legs, this chair is available in two fantastic colour options – turquoise and peach. You can choose to buy this piece from our online furniture site, or visit any of our 25 furniture stores across India for the best deals in home furniture.